At Little Root we spend at least an hour outside everyday in every type of weather. 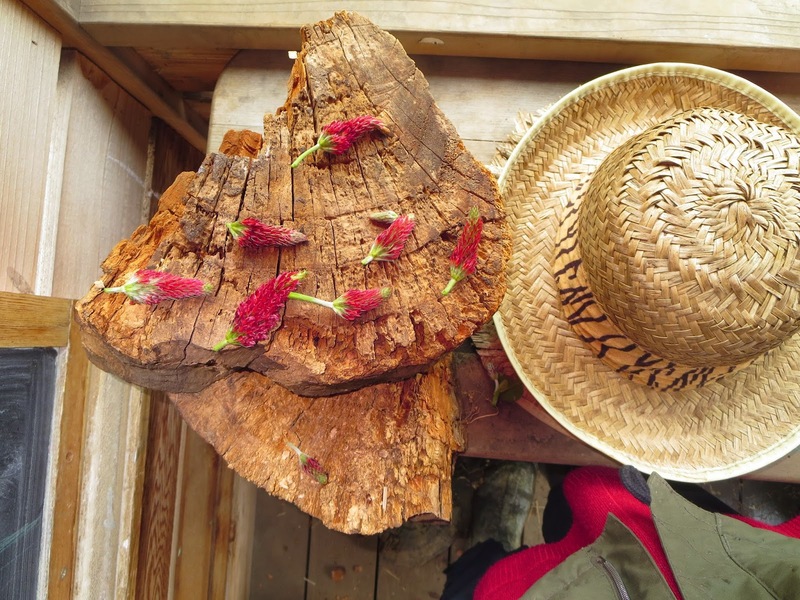 The playgarden is an inspiring place to play with growing plants, dirt to work, worms to care for and chickens to feed. 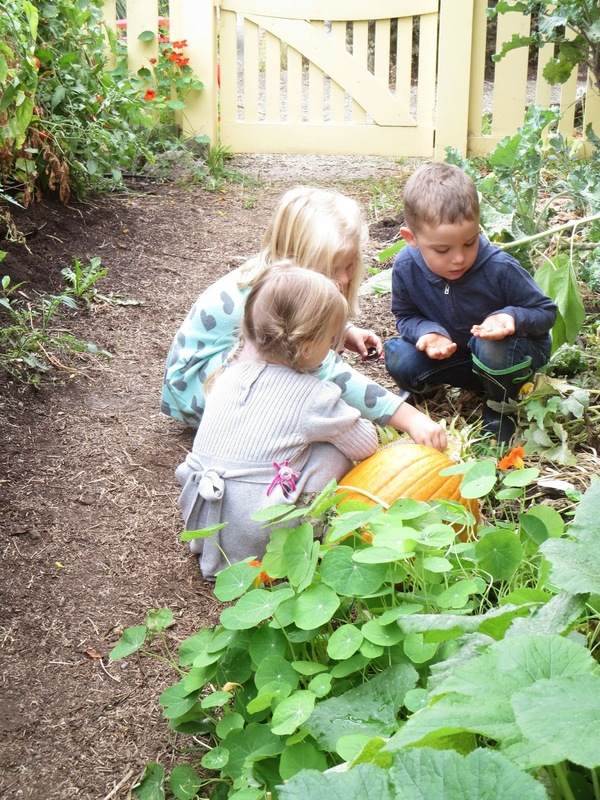 The children learn to harvest, plant, weed and care for the garden as they individually are awakened to what the garden has to offer. We eat from our garden and surplus is shared with the families. We watch the cycle of the seasons through our plantings. Below you can see clover heads being used to decorate a cake in the mud pie kitchen. Plants like clovers are excellent for taking the children through the cycle of the season. We plant the clover seed in early fall and watch as the clover sprouts. In winter we see the clover hold the garden together and now in spring we see the clover shoot forth their bright red heads to be enjoyed by the many bees that visit our playgarden.